We talked about the Law of Conservation of mass and how matter cannot be created or destroyed. If you burn a log, the mass of all the ashes, smoke, gases, and everything that is burned off and left behind EQUALS the mass of the original log. Today students discussed physical vs. chemical properties and changes. They've heard all of this before I am sure, but it doesn't hurt to go over it again. Then we did a challenge to see if they really knew their stuff. 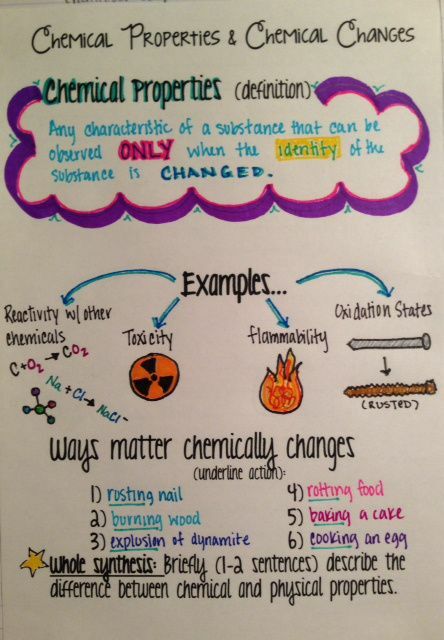 Need to practice identifying chemical and physical properties? Check this out! Need help identifying types of matter and whether they are heterogeneous or homogeneous? Check this out!